Scroll through Instagram and it’s highly likely that you’ll come across a pithy quote from Gabrielle Bonheur “Coco” Chanel, posted daily by everyone from a 14 year-old vaguely fashion-conscious teen to an international style editor or blogger. Whether it’s “Simplicity is the keynote of all elegance” or “Fashion fades, only style remains the same,” Coco Chanel’s legacy lives on not only through the leading luxury fashion house she founded, but also her eternally relevant comments about style. The interlocking Cs remain one of the ultimate status symbols and Coco’s bobbed hair, bright red lips and forthright manner broke the mould, as she revolutionised women’s fashion in the early 20th century. We look at just some of the ways in which the non-conformist, legendary designer was such a pioneer. 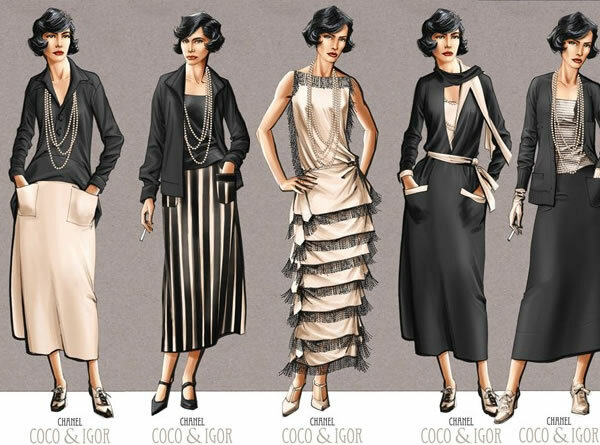 The women’s wardrobe staple that is the Little Black Dress originates from a Coco Chanel design from 1926, which appeared as an illustration in American Vogue. 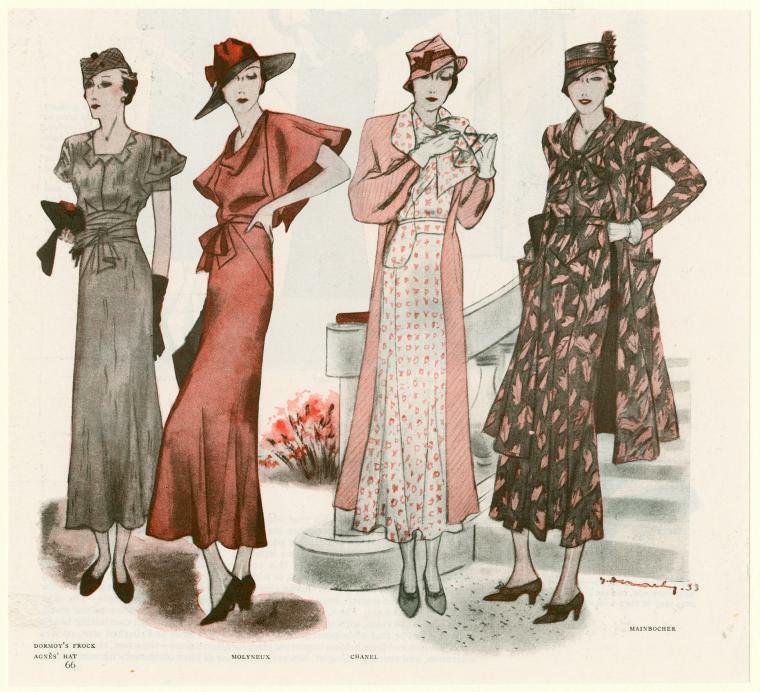 Vogue editors christened the ‘Ford’ dress after the era’s classic black car, asserting that the chic, long-sleeved design in unlined crèpe de chine would “become sort of a uniform for all women of taste.” And weren’t they right. The innovative dress was a radical update for the modern women, revolutionary for both its striking silhouette and dark tone; since the Victorian times black had been associated with mourning. However, for Coco, black was the epitome of simple elegance and always one to subvert tradition, she was the key proponent in making black a colour that could be worn everyday. 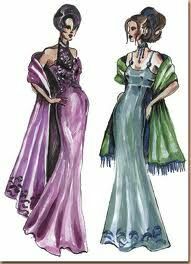 Rival couturier Paul Poiret reportedly scoffed at Chanel in the street, mockingly asking her, “What are you in mourning for, Mademoiselle?” The quick-witted designer responded, “For you, dear Monsieur.” Touché! When WWI broke out in 1914, though women who worked within the public sector continued to wear skirts, many women who took on more manuel roles began to wear trousers and overalls in the workplace. 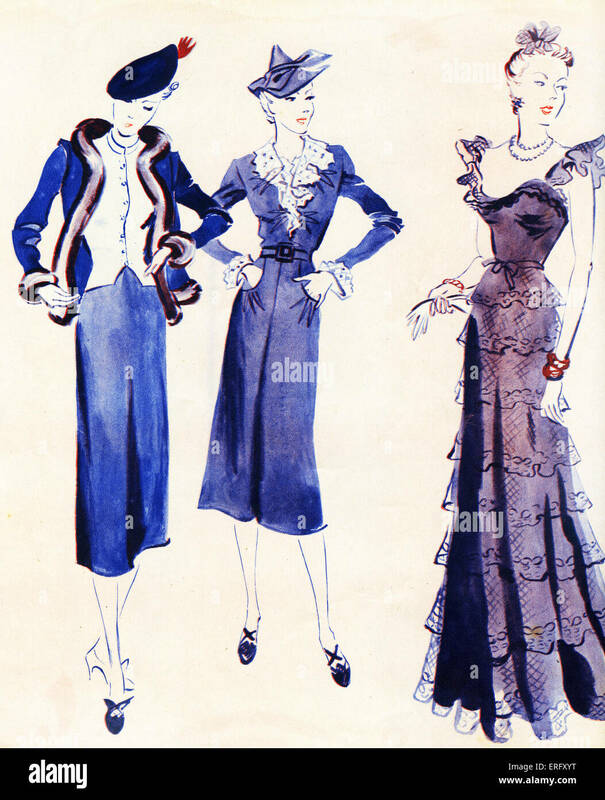 Coco Chanel loved wearing trousers herself, often borrowing her boyfriend’s suits, and she began designing trousers for women to wear while doing sports and other activities. Soon trousers became a fashion choice for women rather than merely a functional garment. 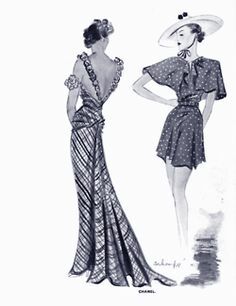 When Coco Chanel opened her first shop in Paris, a large number of the garments were made of jersey. Accustomed to silks, satins and other luxury materials, many of Chanel’s customers were shocked by her choice of a fabric traditionally used for men’s underwear. 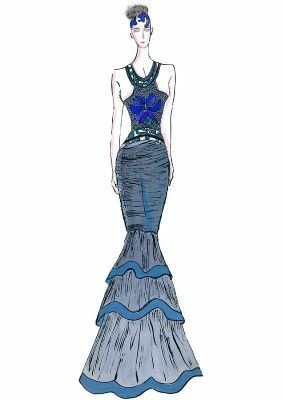 However, the innovative designer saw the potential for womenswear with the fabric as it wasn’t expensive, draped well and suited her clientele’s increasingly busy and active lifestyle. 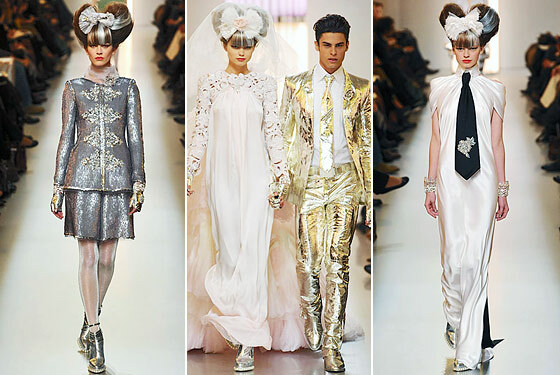 “I make fashion women can live in, breath in, feel comfortable in and look younger in,” Chanel asserted. In the 1920s, Coco Chanel grew tired of carrying her handbags in her hand and decided to design a bag that liberated her arms. Inspired by the straps found on soldiers’ bags she added thin straps and introduced the predecessor to the 2.55 bag in 1929. When Coco returned to fashion in the mid 50s, she updated her design, creating the iconic 2.55 named after the date it was born, February 1955. 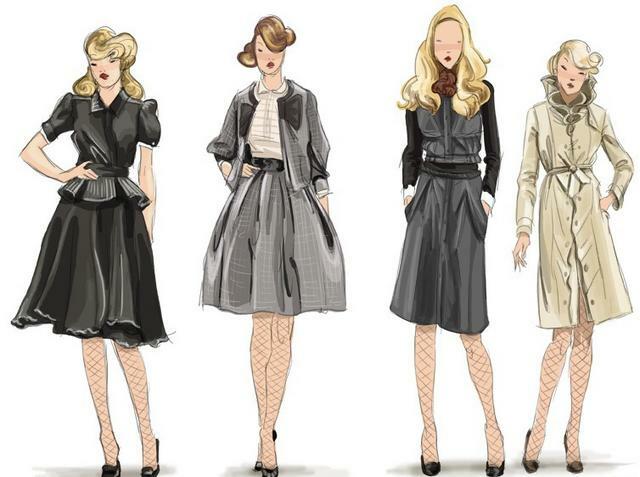 The Chanel bouclé (buckled tweed) jacket is undoubtedly one of fashion’s most elegant and most timeless pieces. Created in 1954 by the then 71-year-old Coco Chanel, the jacket was designed to free women from the constraints of the cinched-in silhouettes of the Fifties. It was the first man-made perfume, using synthetic compounds rather than essential oils. Introduced in May (naturally) 1921, Chanel No. 5 is still the best-selling perfume in the world. Coco Chanel greatly popularised the use of faux jewellery, bringing everyday, less expensive pieces into the mainstream with gold and fake pearls. Made from chains, beads and glass that were designed to be worn with casual daywear, Coco reasoned that women should be able to buy more affordable jewellery to accessorise with everyday, rather than only possessing a few, precious gemstones. Designed for functional purposes, the traditional cream and blue ‘La Mariniere’ became the official uniform of navy seamen in Brittany after the 1858 Act of France. Since then the Breton top has become one of the most stylish items, worn and adored by many of the world’s most revered fashion icons such as Brigitte Bardot, Edie Sedgwick, Audrey Hepburn, Jane Birkin and Alexa Chung. 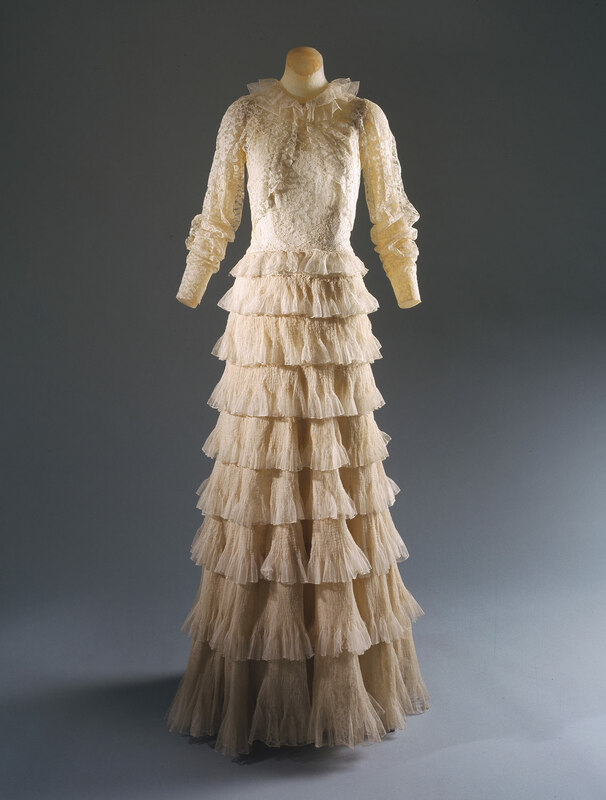 But it was of course Coco Chanel who made it such a coveted piece of clothing. 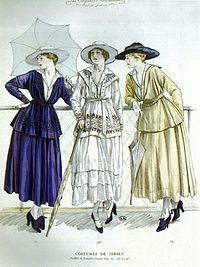 Spotting it on sailors whilst on holiday on the French Riviera, Coco made the stripes popular amongst her set and it heavily influenced her 1917 nautical collection. 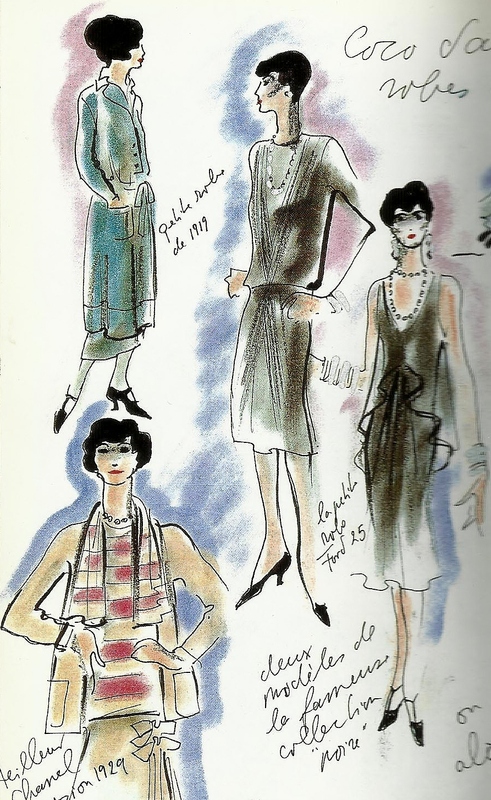 On the 5th August 1923 Coco Chanel invited a small group of journalists to her salon at 31 Rue Cambon to unveil her new collection, which included the first Chanel suit. The editors were underwhelmed by it and the tweed twinset barely got a mention in reviews. In 1939 when WWII broke out, Coco closed her shop and moved to Switzerland. 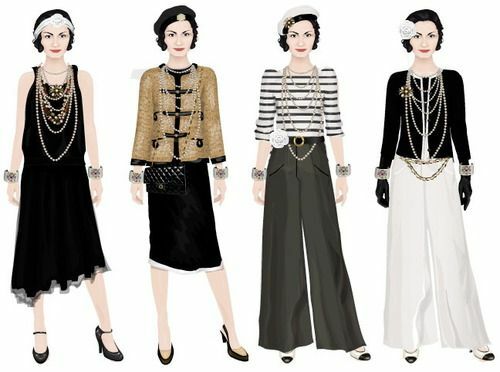 Upon her return Paris and fashion in 1954, she reintroduced the Chanel suit as we now know it featuring a knee-length skirt, cardigan-style jacket, trimmed and decorated with black embroidery and gold-coloured buttons. This time around it was far better received and has become one of Coco’s most iconic creations. In 1959 Coco introduced the two-tone spectator pump, a sleek beige chassis with a chic black toe-cap, inspired by men’s sportswear as so many of her innovative designs were. Over fifty years later and the bi-coloured ballet flat is still one of the most elegant footwear choices for fashionable women across the world.